Daily coffee drinking shown to reduce risk for at least three of the top killer diseases. As almost every study warns not to change your habits because of the results of its particular findings, so does this Swedish study on women's coffee drinking habits and their relationship to stroke. Though the authors say that the study is a preliminary one, other recent studies show similar, positive links between coffee and stroke, coffee and heart disease, and coffee and diabetes. But the team in the Swedish study, led by Dr. Susanna Larsson at the Karolinska Institute in Stockholm, focused solely on women, those between the ages of 49 and 83, and there were 34,670 women, quite a large sample. 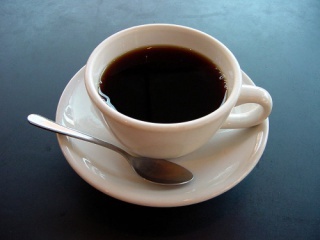 By studying the relationship between coffee drinking and strokes occurring in this population during a 10 year period, Larsson's team found that coffee drinkers had between 22 and 25 percent lower risk of suffering a stroke, even after taking into account other stroke risks, such as smoking, diabetes, weight, high blood pressure, and alcohol consumption. The benefits were about the same for women who drank at least one cup of coffee per day and those who drank up to five cups per day. But, researchers noted, women who do not drink coffee at all may actually increase their chances of getting a stroke. Other longitudinal studies have been conducted among women and men that found an advantage of up to 27 percent among coffee drinkers for risk of stroke. Heart disease, diabetes, and stroke share many of the same risk factors; is it unreasonable to think they would all benefit from the same risk reduction factors? Picturing The iThought Around The Corner? Think Again! Heart, but what about the brain? Interesting, and I believe the study, but note that coffee also interferes with cognition. I don't think it's very nice to interfere with your mind daily with a substance, so I quit coffee. It's similar with wine, which has shown to be beneficial to the heart, but also may affect the brain negatively.